Veteran producers Woody Wilson and Neil Birnbaum have more than 70 years of combined experience in presenting the world’s finest music and artists. Together, they have spent the past five years exploring Cuba’s creative arts. In the process, they have built a cultural exploration of Cuba that is the new benchmark for People-to-People tours of this remarkable and isolated nation. For 26 years, Woody was the head writer of the classic syndicated newspaper comic strips, Rex Morgan, MD and Judge Parker. Daily estimated readership for both features is 30 million people in North America and 16 foreign countries. During his more than 38 years as a professional writer and creator, Woody has worked as a newspaper reporter, columnist, feature writer, editor and media relations consultant. Also a die-hard jazz fan, Woody is founder and president of the Lakeshore Music concert series at the Tempe Center for the Arts in Tempe, Arizona. Lakeshore Music was created in 2009 as a non-profit jazz concert producer and has presented dozens of the world’s finest jazz, blues and classical artists at TCA. Cuba Rhythm & Views evolved from a cultural collaboration between Lakeshore Music, Neil Birnbaum and Northwest Sinfonietta to bring Orquesta de Cámara Concierto Sur (Cienfuegos, Cuba) to the Tempe Center for the Arts in 2012. As a musician, and then an arts executive, Neil Birnbaum’s life’s work has been committed to producing and presenting performances at the highest attainable artistic level. Originally from New York, he graduated from the School of the Performing Arts (the backdrop for the movie FAME) and from Manhattan School of Music with a Bachelor of Music. Neil enjoyed a distinguished career as Principal Trumpet of the Honolulu Symphony and a member of the Metropolitan Opera orchestra. Neil combined his love for music and personal interactions when he embarked on his career in arts management. He held executive positions in Los Angeles, Long Island and Florida, before he joined the Northwest Sinfonietta in Seattle, one of the pre-eminent chamber orchestras in the nation. In 2012, and again in 2013, Neil brought Northwest Sinfonietta on a tour to Cienfuegos and Havana, as the third U.S. orchestra to visit Cuba, and the first U.S. orchestra to perform side-by-side with a Cuban orchestra since the 1959 Revolution. He has also engineered major cultural exchanges bringing high caliber Cuban musicians and orchestras to perform in the United States. 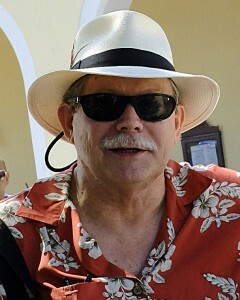 Neil co-founded, with Woody Wilson, Tempe-based Cuba Rhythm and Views (CRV), offering sanctioned People-to-People cultural explorations of Cuba since 2014. In 2016, Neil left Northwest Sinfonietta to devote his time to CRV. Since its inception, CRV has offered several trips each year, bringing cultural delegations from performing organizations such as Columbus (Ohio) Jazz Orchestra; Puerto Rico Symphony; Bremerton (WA) Symphony Orchestra; Lakeshore Music (Tempe, AZ) and more. 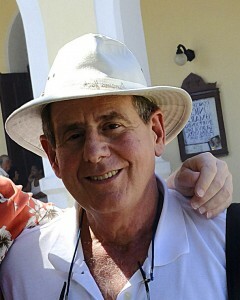 Neil has developed many friends in Cuba, and has close personal relationships with many of Cuba’s finest artists. He has expert and first-hand knowledge of the highest level of artistry in all genres of Cuban music and discovered that some of the finest artists in the world have been a well-kept secret right in our own backyard. This knowledge, combined with Neil’s relationships in Cuba, gives CRV delegation members intimate glimpses into the hearts and souls of the Cuban dancers, singers, musicians, artists and teachers who share their lives with them. This creates a life-changing experience for all participants.